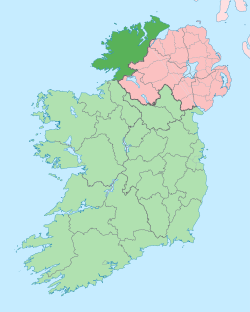 Donegal is a county in Ulster, Ireland. It is north of Leitrim and east of Northern Ireland. This page was last changed on 30 January 2014, at 20:39.